Paphos is a tale of two cities. There is the touristy Paphos, full of English pubs and high street stores, waterparks and white-sand Blue-Flag beaches. Then there is the historical Paphos, one of the most archaeologically-rich areas of the Eastern Mediterranean: the birthplace of Aphrodite, a treasure trove of gorgeous Roman and Byzantine mosaics - where mountains teem with archaic monasteries - where St. Paul was lashed to a pillar for spreading Christianity. Truly, there is something for everyone in Paphos, the European Capital of Culture in 2017 - a city that annually bathes in 300 days of sunshine. 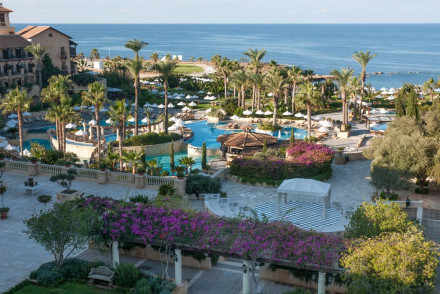 The best places to stay in Paphos range from romantic boltholes to luxury beach-side hotels. Cyprus' reputation as a romantic island retreat is long established. Marc Antony famously gifted the fragrant, near-celestial island to his lover Cleopatra. While it was also near Paphos, as the Romano-Greek mythic tradition details, that Aphrodite - goddess of love and beauty - was borne from the foam of the sea. It is unsurprising, really, that Paphos continues to boast a reputation for pristine, white-sand beaches - the vast majority of which are Blue Flag - scintillating azure waters and long days of sunshine, all against a picturesque backdrop of the Troodos Mountains, bearded with cedar and pine trees and inhabited by wild sheep. Paphos can be divided into two halves: there is Ktima, the elegant Old Town - full of stately colonial homes and museums - and then there is Kato, a touristy place, brimming with British pubs and sumptuous seafood restaurants. It is here that you will find the Kato Paphos Archaeological Park, strewn along the harbour, an exceedingly impressive collection of Roman ruins and beautiful mosaics. While you're there, check out the Saranta Kolones Fortress, an impressive Byzantine castle. On the outskirts of town are the Tombs of the Kings, surely one of Paphos' greatest attractions, used from the 4th century onwards as the burial place for the local nobility, a warren of caves and sandstone tombs. Far outside of town is Kourion, a 2000-seat Roman amphitheatre, standing on a hill overlooking the sea - one of Cyprus' most important sites - and a venue that is still in use to this day. Head up to the forested Troodos Mountains and explore the 10 UNESCO-listed monasteries scattered about, famous for their stunning Byzantine frescoes. You'll no doubt encounter some "moufflon" - wild sheep native to Cyprus - along the way. Get yourself to Aphrodite's Rock, the mythical birthplace of the Romano-Greek goddess of love and beauty, and soak your feet in the calm rolling of the azure waves. Explore the Tombs of the Kings, on the outskirts of the city. They were used from the 4th century BCE onwards as the burial place of the local nobility, and are a maze of caves and sandstone chambers. Bask in the splendour of the ancient world by exploring the Kato Paphos Archaeological Park. Bathe in infinite sunshine on one of Paphos' gorgeous Blue-Flag beaches. 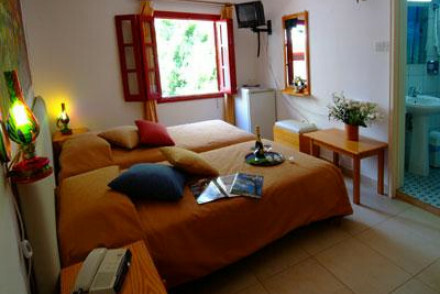 It'll come as no surprise that this is a popular spot so to ensure a room at one of the best places to stay in Paphos we recommend booking your trip well in advance. Elysium: a truly magical place, full of collonades, waterfalls, mosaic tiles and cool marble floors. The rooms are elegant, there is a world-class spa, several restaurants and bars, tennis courts and a cafe. Perfect for a romantic getaway or a honeymoon. 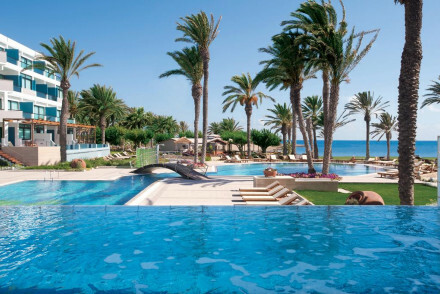 Leonardo Plaza Cypria Maris Beach Hotel: an adults-only resort ideal for couples in search of privacy and total tranquillity. There are four restaurants, a spoiling spa and on-site activities ranging from volleyball to archery. Perfect for a romantic beach holiday. The Annabellle: A sprawling resort comprising of interlinking pools and numerous accommodation options on a lovely stretch of coast. A lovely hideaway for two. Almyra: real value for money. 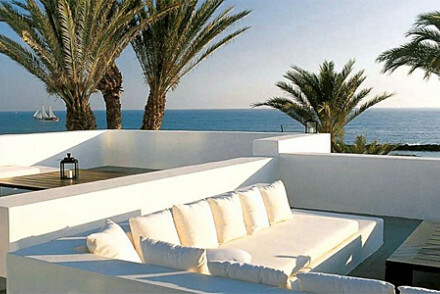 A chic 5* hotel offering stylish all-white rooms with private balconies, restaurants and beach access. Kiniras Traditional Hotel & Restaurant: A traditional building in upper Paphos - the more authentic part of town. A perfect choice for those looking for a quintessential Paphos stay. Constantinou Bros Asimina Suites Hotel: true barefoot luxury. A luxurious 5* resort standing on a private stretch of beach. Simple and spacious suites, an indulgent spa and exemplary service. Utterly divine. If you want the option of self-catering, our partner Booking.com has a wide range of villas and apartments in the nearby area. With 300 days of sunshine per year, there is never really a bad time to go. To best avoid the heaving throngs of summer crowds - and for the most clement weather - go in the autumn, when temperatures average at around 20 degrees. Browse through all our properties in pretty Larnaca. A sprawling resort comprising of interlinking pools and numerous accommodation options on a lovely stretch of coast. Light and airy rooms are slightly varied but all have light hues, plenty of marble and large floor to ceiling windows. Perfect for family holidays or romantic breaks. Total relaxation - A tranquil seaside spot perfect for relaxing summer holidays. 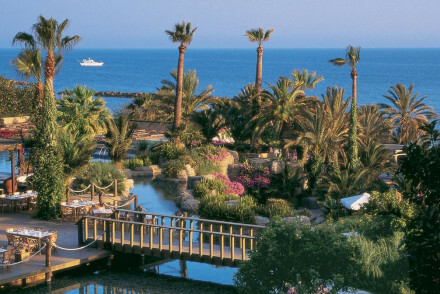 Sights nearby - Visit Paphos’s medieval castle, Roman ruins and world famous mosaics. This adults-only resort is perfect for those in search of privacy and relaxation, offering four on-site restaurants, a luxury spa and activities including archery and volleyball. Accommodation ranges from spacious standard rooms to luxury suites with private pools. Perfect for a romantic retreat. 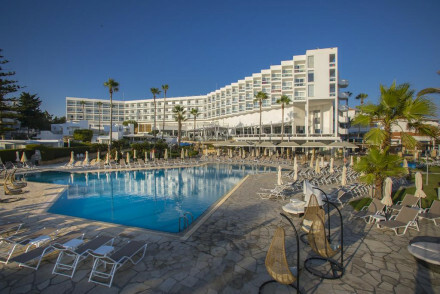 Elegant 5-star hotel on the Cyprian coast designed in a traditional style, with colonnades, cool marble floors, mosaics, terracotta tiles and waterfalls. It has a world-class spa, pools, tennis courts and a grand total of 5 restaurants, 2 bars and 1 cafe. Perfect for weddings or romantic getaways. A luxurious five star property set on a private stretch of white-sand beach. Spacious suites are simple and stylish with soft hues, private terraces, sea-views and indulgent bathrooms. Expect exemplary service, a spoiling spa and utter tranquility. Romantic Break - Some rooms come with their own private pool on their balcony. Romantic dinner's for two can be organised on the pier. Spa breaks - The Spa facilities offer everything from steam and sauna rooms and a gym to a hair salon and body therapy clinic. Beach Life - Walk barefoot out of your suite to the hotel's very own beach.